making building industry credit decisions without the right data? 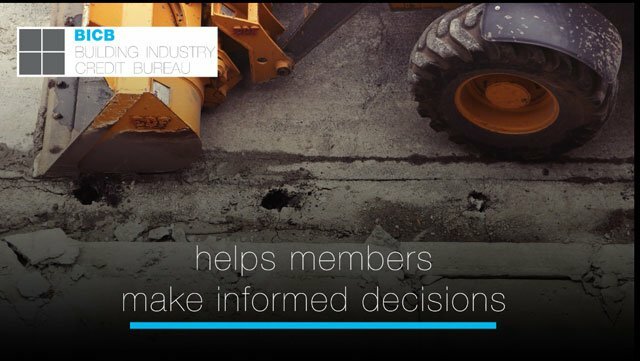 As a BICB member, you’ll have access to comprehensive, up to date, factual credit information about entities that receive supply of goods & services on credit in the building & construction industry in Australia. Members also have access to a large range of public record searches and a selection of advanced credit reports via the Online BICB Report Selection screen. BICB conducts regular member meetings and seminars; provides members with details of Project Services tenders; and represents members’ interests to Government. Corporate Insolvency in the Building and Construction Industry – What’s Really Going On? The consolidated debt at 60/90 days for the Sep 2018 quarter was 5.66%. This was slightly lower than the Sep 2017 results. The 2017/2018 financial year average for outstanding debt at 60/90 days was 6.57%. This was a big improvement on the 2016/2017 results which averaged 7.72% for the year. This video gives a quick overview of the Building Industry Credit Bureau and its industry leading members online system. The online system provides accurate, easy to access credit information about building industry debtors.